After a very pleasant break over in Berlin with my wife and the purchase of a very archetypal tourist baseball hat I have returned home weary, but in a happily weary kind of way. We were actually over there to celebrate her birthday, or at least that is what she was under the impression of. To me it was about getting hammered in what I rate as one of the finest cities in the world...................for getting hammered............I did of course enjoy her birthday and we did a great job of getting very happily inebriated together. It was after all her day..........and my job to pay. After asking the question of the benefits of SE over DE (I am sure I mentioned this only a few lines back) I decided that the best way to gain any answer to my curiosity was to 'buy and try'. I had no intention of going overboard and took what seemed the cheapest way in and purchased a Razrock Hawk V2 and a number of Kai Captain blades while at it. I thought the blades were very fitting to my profession and hence liked the name, a Feather Pro could make me sound like a lady of the night. The Hawk V2 I could best describe as being an upmarket Bic disposable being not that much heavier and probably not that much better in manufacturing quality. A cruel start. The aluminium head took me some time to get a firm grip of the blade and the aluminium to aluminium threads take some care to get right. One miss cue here and the thread would be buggered. After some arsing around with the pins and not being overly brutal on tightening the handle I finally arrived at a 'non chattering' blade being held in place. In passing I must say the handle is pure rubbish and looks cheap and nasty. A simple plain finish would have been a much better option. May I also mention it took some puzzling as to how to get the blades out of the holder (may be I am just stupid). Once I figured out this Mechanical Puzzle I was actually quite impressed by the arrangement. An arrangement which allows one to get a blade out of the packaging in a nice safe manner and then remove ones finger tips afterwards. So far so good and all digits in relatively good and complete order and all pieces ready to function in what I hope remains as one piece. Man and aluminium in harmony. Okay, so not overly excited by the Hawk V2 from an engineering aspect this is where the the big shock arrives. Bloody Hell this is good! With the first stroke of the overly wide head (compared to what I am used to) I am in danger of removing my eyebrows as I pass down my side burns. This is much wider than I imagined. But wowser, wowser, wowser it is clearing stubble at a far great rate than anything which has passed over my face before. Not only that it is efficient and ruthless to the point where I would call it ruthlessly efficient or even efficiently ruthless. Take your pick. Zero irritation, zero nicks and zero any kind of those things one doesn't want in a shave. The other thing of note to me was how easily it was to get the shaving angle correct and in fact very difficult to get it wrong. This is the ultimately quick face lawnmower I have experienced to date. Three passes and what a job and in what a short time. This breaks all the laws of the physics of shaving. If there are such laws, which I doubt. I guess what I am saying is, this is fast, this effective and this is heavenly. I can honestly say I now understand those who stand so staunchly for the world according to Single Edged razors. And this is with a razor which I would never describe as a piece of wonderful engineering......but I guess somewhere in there it is really. handle apart. I just hope someone doesn't jut in and say there are even better blades as I am mesmerised at this level. Is it as good as DE? I would easily put it on a par with the best to date. The big difference being less bathroom time and quicker out the door. A wonderful new and welcome addition to the armoury of razors which sit in my shaving cabinet. Choices choices choices. The Muhle synthetic is exactly what it says and I am pleased to say I have no reason to make mention it is butterscotch in colour, because it isn't. But what a lathering machine. Quick and efficient, much like my new experience with SE's. At this rate shaves are going to be finished before they have even started. 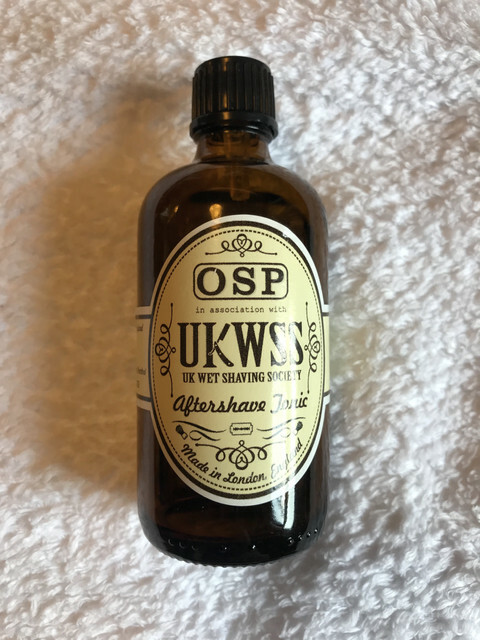 To add to all this; throw in that heady old school scent of the OSP Barber Shop cream and OSP barber Shop after shave tonic and I am feeling as if I am one of those lucky sods to have survived Sweeney Todd and actually walked out of his emporium having been shaved to perfection. Better that than the contents of a meat pie. I would usually finish a shave like this with one of those scents of days past, ADP, Alvarez Gomez or similar, but for this occasion I chose YSL Homme as it sits at the back demanding some attention. So I gave it some attention and it has just moved to the front. Not my usual family of scent but I forgot how damned fine it is and my wife chose this years ago because she knows what is good for me and what is not. I always considered it to be one of those 'nocturnal perfumes' but how wrong I was. This is summery fresh daytime if ever. And it still does the night act. I am now in a right old quandary as I see a further and necessary purchase of a stainless SE being high on the list. Before I go down this road though I am going to try a heavier handle tomorrow night as I see the Hawk needing more weight about it. It is the flimsy lightweight nature which if anything I would continue to whinge about. But it is hard to criticise what it achieves and that is what matters. Welcome to the world of SEs. The vintage Gem type and injector razors aren't much wider than a DE, but because of the thicker blade I find they get me smoother smoother. If you want to stick with the AC size razor I highly recommend the Colonial General. Although, imo, if you want the shave of your life, it's the Cobra Classic. 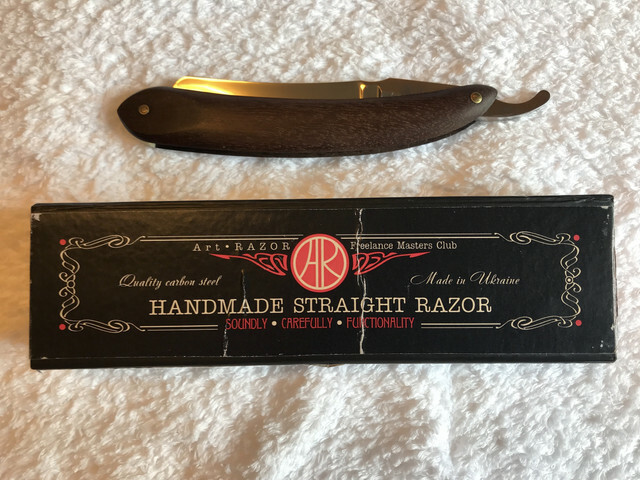 Other Classic razors are available! 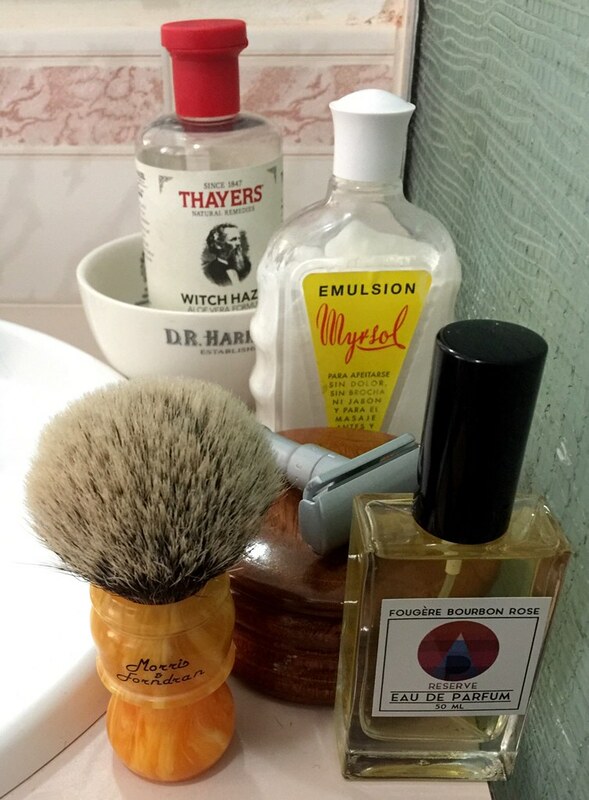 First shave using Dusy Professional soap, a clone of the discontinued Klar Kabinett. A big thank you to @Blademonkey for sending me a generous chunk of soap - cheers, Paul. As was the case with Klar Kabinett, the Dusy Pro soap is made in Germany, has a mild rose scent, is sold in 500g blocks, and intended for professional Barber use. I found the Dusy to be a very good soap. As you would expect from a professional product, it lathered very easily and the lather was persistent throughout a three pass shave. 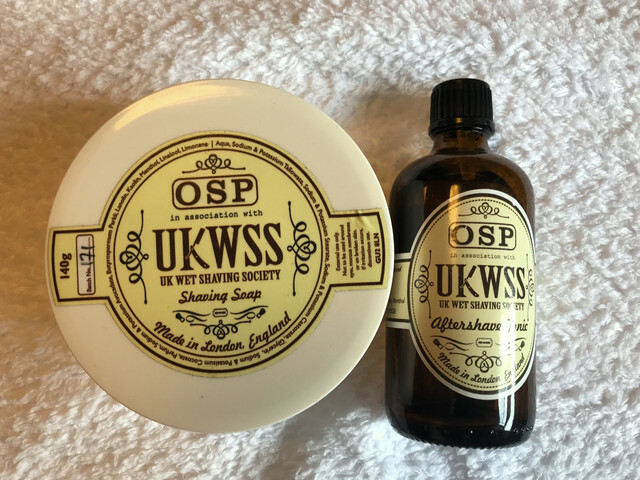 Having recently shaved with the Klar soap, I find this soap just a little bit better, on the basis that the scent is more natural, and the post-shave a little better. However, there is not much in it - the Dusy is a bloody good performer. The M&F brush is now just about broken in, and is a belter of a brush. It loads very quickly, and works equally well for bowl or face lathering, with soft tips for painting lather. Three very comfortable passes for a DFS+. The APR EDP was a nice match with the soap scent. I must say that amongst all the excellent APR scents that have come out in the last couple of years, my favourite is Fougère Bourbon Rose. A great shave from the Dart paired with the vintage Polsilver, the Oatcake soap sample used was outstanding, creamy and slick. I was left as smooth as smooth can be and with soft and supple skin. My scent today was just the first one I grabbed without much thought but it turned out to be a good choice, Penhaligons Vaara. 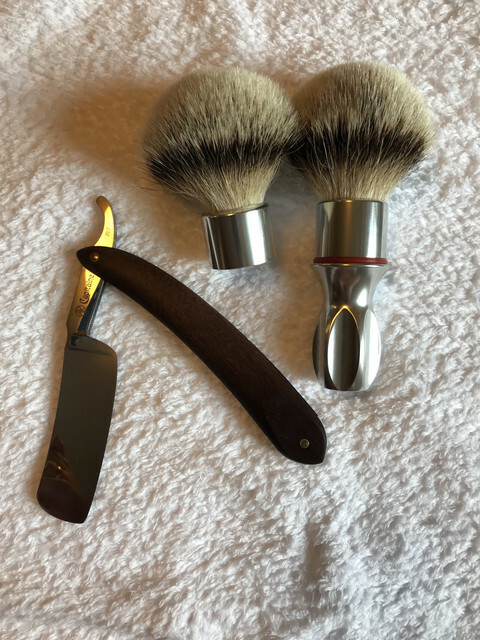 G'day P. What are your thoughts on the SOC Badger/Boar brush? Lunch out with Mates so a late report- slept well . My Third outing with the King Cobra and more assured handling, and a nice close finish attained. Took a little longer than usual, but I find that often the case when getting used to a new Razor. 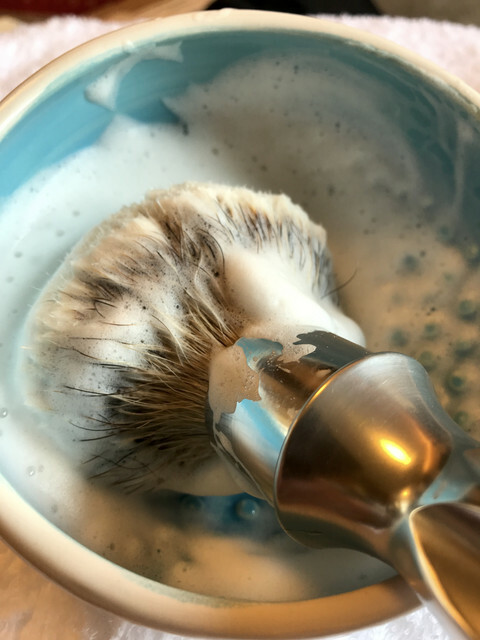 The 11137 is a great brush for hard soaps. A little marvel. Have a good day gents. Cheers, Paul. I have a SOC boar and really like it, so this hybrid design is certainly of interest. 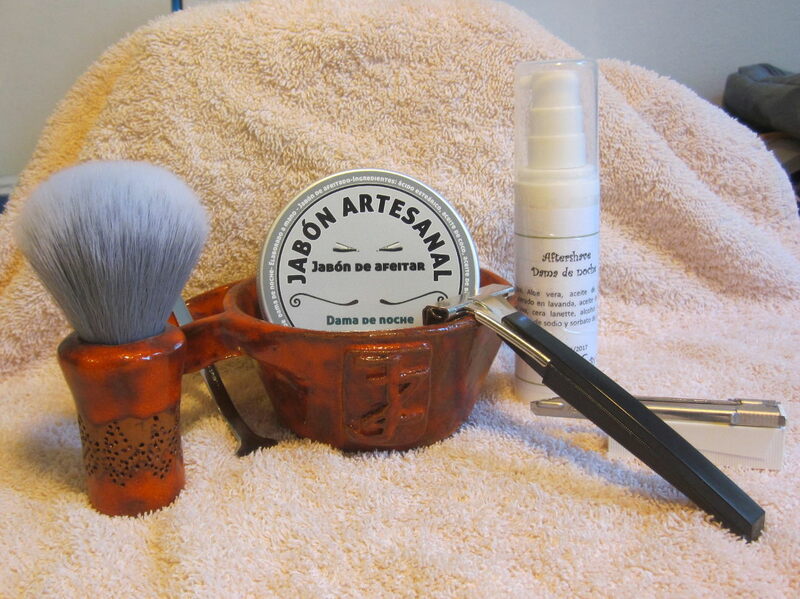 A beautiful cool shave on a sweltering hot and humid day. I used my new ΑΛΦΑ Alpha T-400 brush (available from me of course!!) 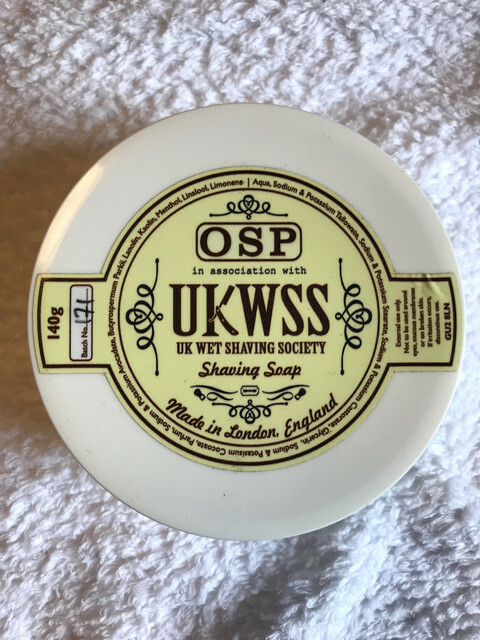 AND UK WSS soap and splash for a menthol cool kick. Please James Riley - make this UKWSS available again!!! I coupled it up with a superb bowl from Symmetrical Pottery on ETSY and a superb razor from Yuri Kravchenko from ArtRazor. Have a good week gents. Rob - that razor is a stunner, Mate! How does it perform? M Keramiek / APShaveCo SilkSmoke. Jabones by Luna “Dama de noche”. PAA PHNX Injector type L-1. Personna S/S PTFE coated (1). Jabones by Luna “Dama de noche” ASB. It has the greenest rose scent I've smelt yet in a cream, I'm sure I could smell the prickly stems as well as the flowers, it is a straight rose scent (not a hint of geranium to my nose, unlike the Salters which is a mix of the two.) Performance was a let down to be honest, my face suffered mild discomfort from the off and the slickness/protection were well below par, easily the poorest performing rose cream yet but i'll persevere and try it a few more times to be sure. It's smoother than Ryan Gosling. 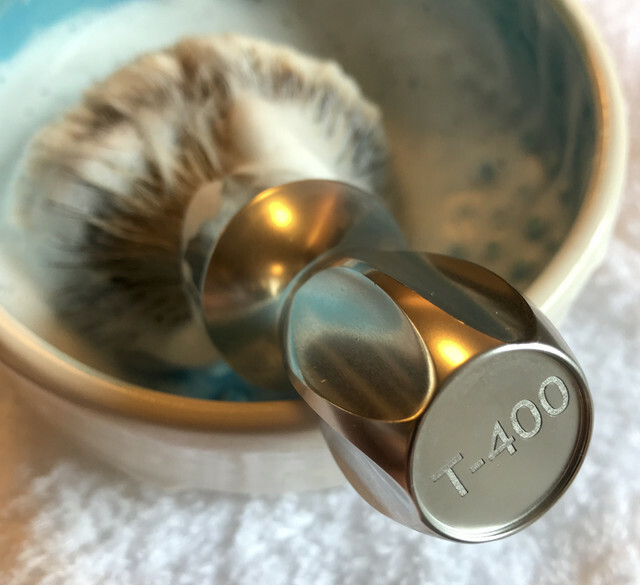 A fabulous shave with my MMOC paired with a Treet Super, it was so smooth and yet still efficient. The Semouge boar ripped up the hard Valbora soap with ease and a wonderful lather was soon ready to be applied. I finnished with a favourite of mine from Miller Harris and I was looking good and smelling great all day. Today I used my Favourite Schick [ Cannot include "O" Clone ] that uses a Twin Blade, for me better than the Adjustable. I always get a smooth comfortable Shave with an almost guaranteed close all round finish , as was the case today. I used up some of my diminishing Aqua Velva, which has to replaced as it is a Classic and within my budget .